Bloomberg Philanthropies has revealed the 21 European cities that have emerged as final contenders in its 2013-2014 Mayors Challenge, a competition to inspire cities to generate innovative ideas that solve major challenges and improve city life, and that ultimately can spread to other cities. One grand prize winner will receive €5 million for the most creative and transferable idea. Four additional cities will be awarded €1 million, and all will be announced in the fall. The finalists’ proposed solutions address some of Europe’s most critical issue areas: youth unemployment, aging populations, civic engagement, economic development, environment and energy concerns, public health and safety, and making government more efficient. 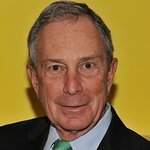 The 2013-2014 Mayors Challenge is Bloomberg Philanthropies’ first in Europe after the inaugural competition in the United States. Cities with populations of at least 100,000 residents were invited to participate. 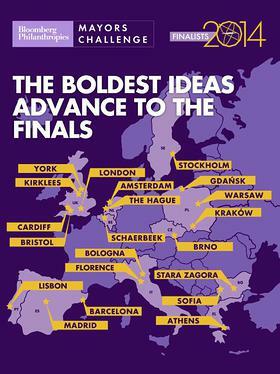 The finalist cities have populations ranging from fewer than 250,000 residents to more than 1 million, and represent 11 countries across Europe. They were selected from 155 applicants and their proposed solutions (see following list) illustrate both complex challenges and common urban issues across cities and regions. Finalists will next attend Bloomberg Ideas Camp, a two-day conference convening municipal leaders from each city as well as leading innovation, policy, and programming experts who will partner with and push teams to strengthen their ideas. Ideas Camp is planned to occur in Berlin in June. AMSTERDAM, Netherlands – Youth Unemployment: Tackling widespread youth unemployment by equipping young people with 21st century skills and connecting them with jobs and apprenticeships across Europe through an online game. Further detail and related elements for this year’s Mayors Challenge can be found here. More information about the Mayors Challenge competition is available here.